Looking to contact me? Please click here for that. 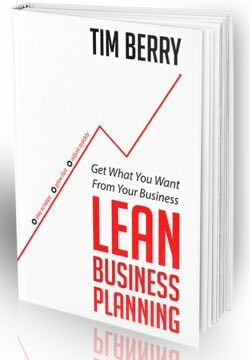 For my latest book, Lean Business Planning, it’s complete on the web at leanplan.com. It’s on track to be published in 2015. Looking for media support, background, etc.? For shorter bios, click here. And for photos, here. And click here for me in Wikipedia. I’m a father of five, married 44 years. I’m founder and chairman of Palo Alto Software, founder of bplans.com, and a co-founder of Borland International. I built Palo Alto Software from zero to 40 employees and 70% market share without outside investment. I have a Stanford MBA degree. I taught starting a business at the University of Oregon for 11 years. I’m the conceptual author of Business Plan Pro and LivePlan, author of The Plan-As-You-Go Business Plan , co-author of 3 Weeks to Startup, both published in 2008 by Entrepreneur Press. Lately I’m engaged in helping several new startups, most notably Have Presence, my daughter’s social media services for business owners (please click here for a one-minute video about that). And I did Free the Numbers because I love spreadsheets and always wanted one that was simple and intuitive and just big enough to do the job. And Crecen, which is bringing what really matters, and what’s transportable, from Silicon Valley to the rest of the world. I’m on Twitter a lot. 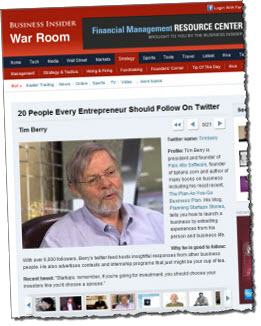 Business Week included me as one of its top 20 entrepreneurs to follow on twitter in March of 2010. 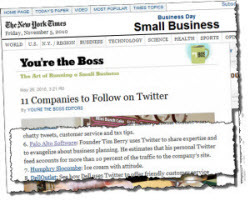 And the New York Times included me as number six in the top 11 companies to follow on twitter in June of 2010. Business Insider includes me in top 20 entrepreneurs to follow in December of 2010. I’m proud of that. 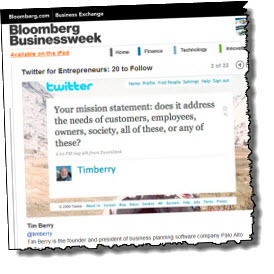 I’m @timberry on Twitter. Follow me, please. I believe in entrepreneurship, startups, business planning, and the importance of fundamentals in business such as giving the customer value, working as a team, listening, empathy, and fairness. I’ve spent a career in entrepreneurship and business planning. I teach planning with my own company, and for 11 years as an adjunct professor at the University of Oregon, and in published books and software, and in speaking engagements for the likes of Apple Computer, Autodesk, Progress Software, USASBE, Academy of Management, and so on. In 2007 I won the USASBE (United States Association of Small Business and Entrepreneurship) Corporate Entrepreneur of the Year award and a USASBE award for teaching. Before the two 2008 books, I also wrote Hurdle: the Book on Business Planning and other books on planning published by Harcourt Brace, McGraw-Hill, and Dow Jones-Irwin. As a consultant I worked with Apple Computer steadily for 14 years of repeat business — consultant, not an employee — doing (among other things) 14 years of annual plans for Apple Latin America, Apple Pacific, and Apple Japan. Apple Latin America grew from $2 million to $37 million annual sales while I was doing its annual business plans, and Apple Japan grew from $187 million to $1.5 billion in annual sales while I was doing its planning (not that my planning was responsible, but at least it didn’t screw it up). For my views on business planning, I like 10 Questions with Tim Berry on Guy Kawasaki’s blog and, with the permission of my publishers at Entrepreneur Press, I’ve posted the entire text of my 2008 business planning book on the web for free at planasyougo.com. But as I noted above, my latest is Lean Business Planning. I like writing. It reminds me of my first career as a journalist. I was night editor for UPI in Mexico City for three years, and McGraw-Hill World News correspondent for Mexico for five years. I wrote regularly for Business Week and other McGraw-Hill publications, and occasionally for Financial Times and others. I even wrote some published fiction — not counting market research — but it wasn’t very good. My first degree (Notre Dame) was in literature, my second (an MA from University of Oregon) was journalism. I’ve seen startups and small business from multiple views. I’ve had the good years and bad years. My wife and I had three mortgages and $65,000 of credit card debt at one very low point, which we survived, but I really don’t recommend. I’ve landed investment from a Palo Alto venture capital firm and bought them back. I’ve consulted with venture capitalists on software startups, essentially kicking tires. I’ve consulted with startups on bringing in venture capital, and angel investors, and business loans, and friends and family. I like to think I’ve never lost track of what’s really important. I don’t think I’ve lived for business, but rather, I’ve done business to live. I’d have to give my wife of 45 years credit for us still being married, three companies I’ve started or helped to start, five kids with five college educations and 2 graduate degrees between them, 7 jobs, and I-forget-how-many-mortgages later. Click here to contact me by email, mail, or telephone.